For a comfortable trip where you are completely independent, we at Hotel Les Grenettes offer apartment-hotel rental on Ile-de-Ré. With the independence of an apartment and the comfort of hotel service, an apartment-hotel is the ideal alternative for a relaxing trip. Fully furnished and equipped, our apartment adapts to your needs and to your budget: you can rent for two people on one level, or book the entire duplex for the whole family or group up to 6 people. When configured for 4-6 people, it has two bedrooms, one with a double bed on the ground floor and the other upstairs with single beds, and a living room with a pull-out couch. When configured for 2-4 people, the apartment is all on one level and accessible to people with reduced mobility. 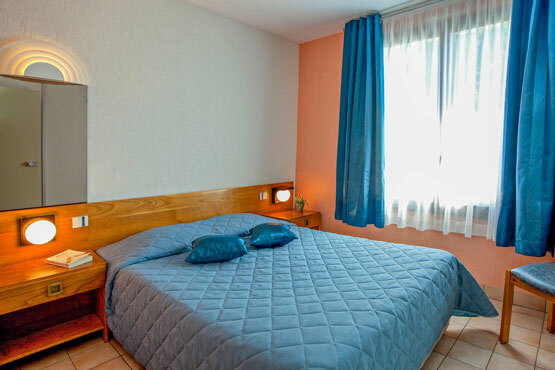 Your apartment-hotel on Ile-de-Ré provides all the freedom and comfort you need for a successful holiday. You can relax on a sun lounger out on the patio. 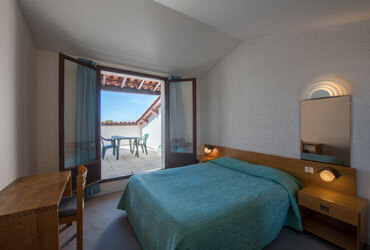 This accommodation has a bathroom with an Italian-style shower and separate toilet. With the kitchenette you can save money and do your holiday on your own time. You can also choose to book full board or half board with your apartment, if you so desire. There is an option to reserve breakfasts. Like our rooms, the apartment-hotel has a flat screen TV and a safe. You are also provided with a telephone and Wifi. Dogs are allowed for an extra fee. 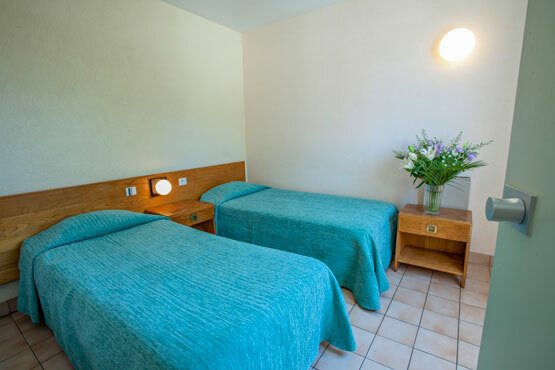 The Les Grenettes apartment is perfect for a relaxing and independent holiday with your family or partner, all while enjoying all of our services and activities. felis sed venenatis, diam consectetur ut neque.